The Oase Proficlear Compact combines exceptional mechanical filtration (80 micron) with proven moving bed air driven biological media. Harmful waste is removed by the self-cleaning rotational drum section meaning that the biological stage does not require cleaning and nutrients that promote algae growth such as nitrate and phosphate are considerable reduced. 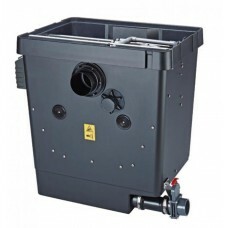 In addition to this the filter can now be much smaller than in conventional systems meaning that ponds of up to 80000 litres (without fish) can be filtered using the Compact. 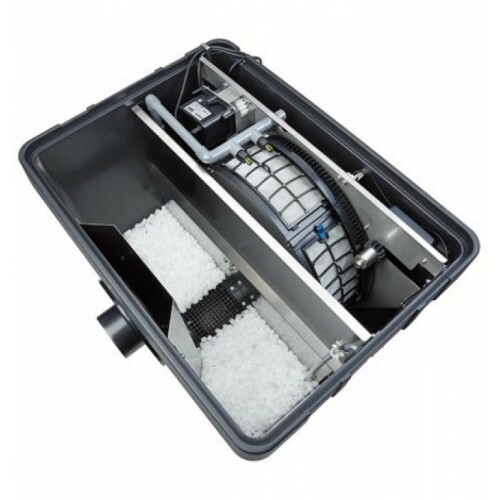 The Proficlear Compact incorporates a primary and secondary inlet meaning that two pumps can be fitted to improve circulation and surface skimmers can easily be installed as can multiple UVC's. Modular - making it easier to increase filtration. Ponds up to 80,000 litres. Community fish ponds up to 40,000 litres. Koi ponds up to 20,000 litres. Additional Proficlears can be added in series.